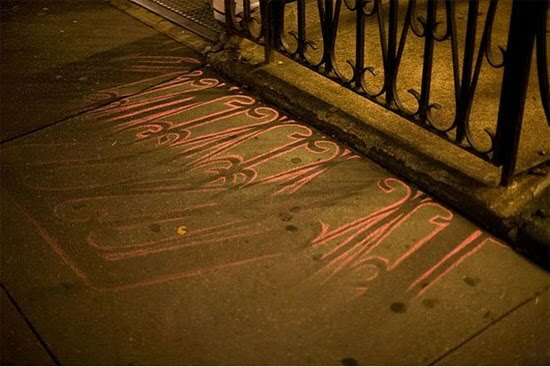 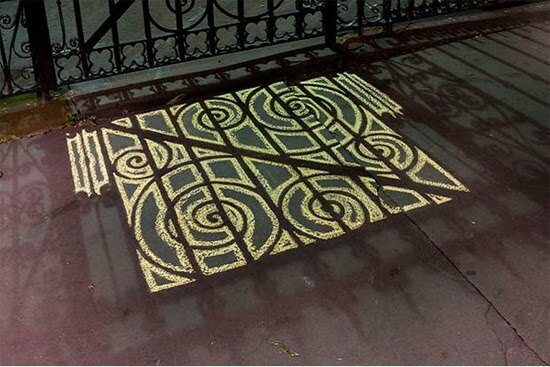 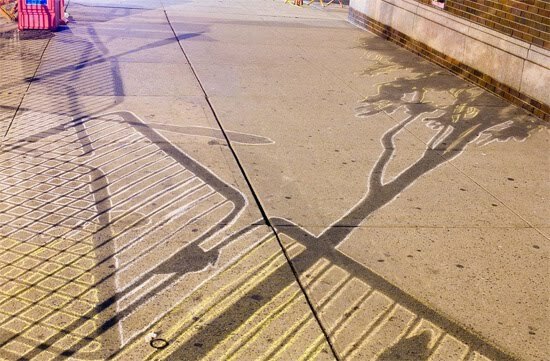 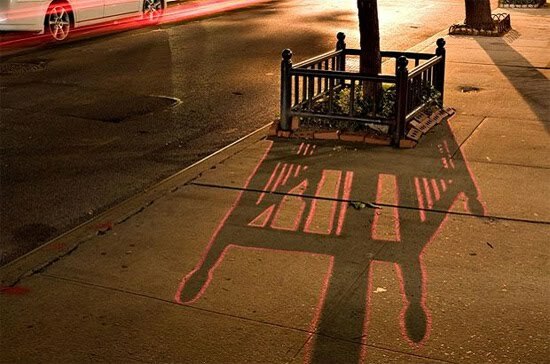 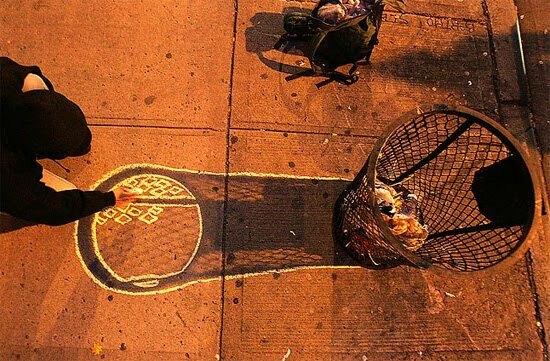 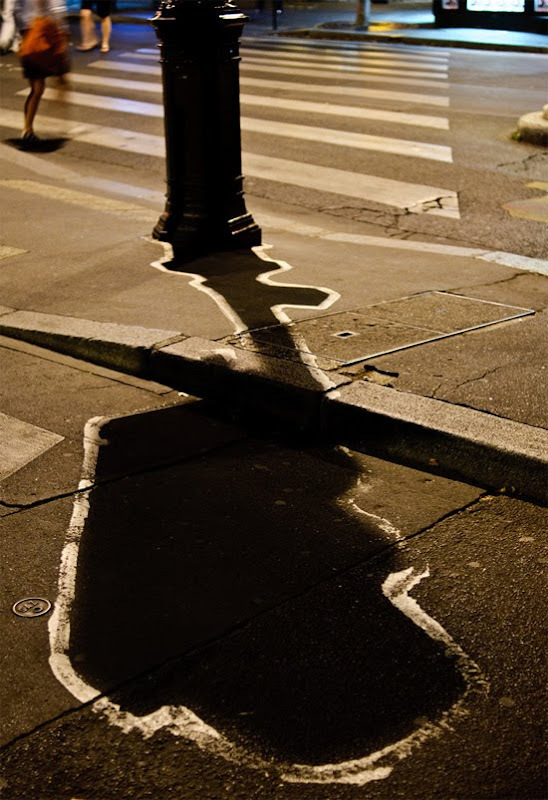 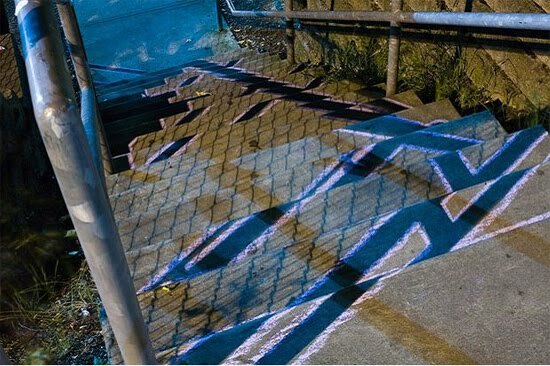 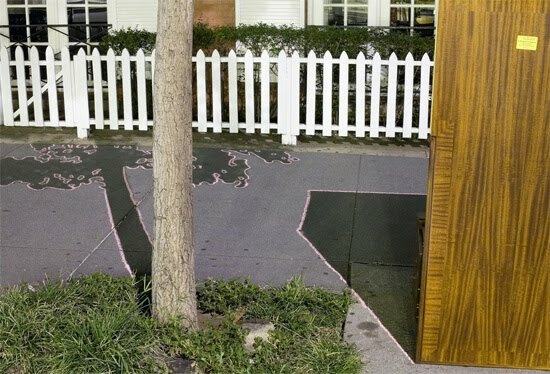 Amazing drawing graffiti on the walls, Use the shadows that lamp posts are making to create street art. 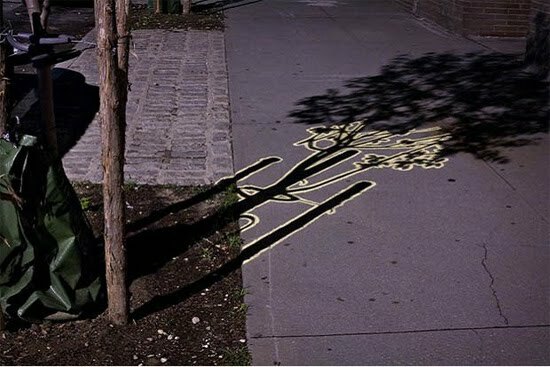 Gallagher is only using chalk and stone sediment to outline the shadows into stencils looking like figures or just simple art. 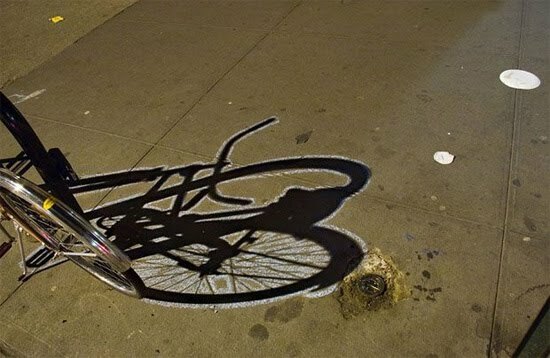 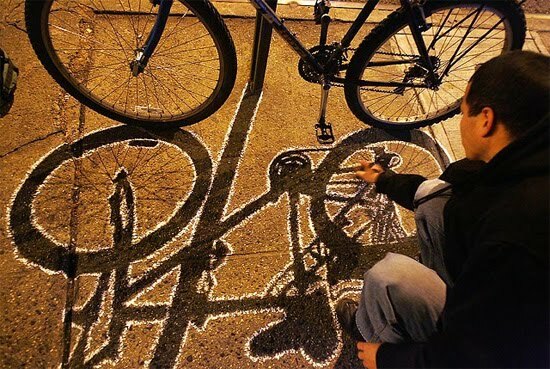 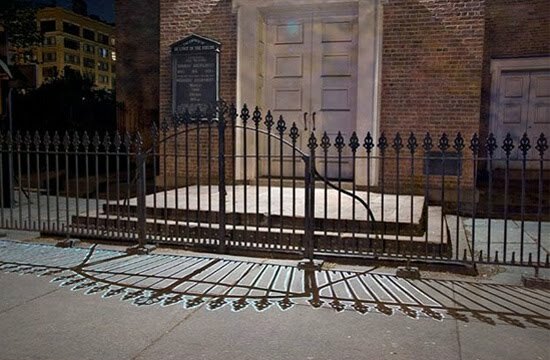 This kind of street art is very neat and impressive to come across in the late hours.